I remember that a month after I gave birth to my daughter Bianca, she developed severe skin rashes all over her face, neck and body. I couldn’t bear seeing her like that at that time as I can only imagine how uncomfortable it made her feel. It didn’t help also that three months after, the skin on her head started peeling off together with her tiny cap of baby hair too. Being a young fist time mom then, I was at a complete loss on what to do. Good thing her Pedia was very patient with me. It turned out that early onset of asthma started manifesting itself on her skin.She recommended for us to use lactacyd blue diluted in water for her bath as she is too young to use steroidal creams. But then that didn’t work and I didn’t like using it on her. I wasn’t comfortable with the thought that it contains strong chemicals as it has a very strong scent. We also tried using Johnson’s baby bath and later on Cetaphil but even those failed to satisfy me as the rashes didn’t completely disappear. My mom’s friend who’s working in the states, upon learning about Bianca’s condition, sent over a box full of baby skin care products for us to try. She sent me an Aveeno Soothing Bath Treatment, Aveeno Anti-Itch Cream and some Mustela products which include Mustela Hair & Body Wash, Baby Shampoo, Stelatopia Emollient Cream and Stelatopia Cleansing Cream. I didn’t know where she got them but I was glad that she did send the Mustela products over because after using the stelatopia creams and the hair and body wash, Bianca’s face and body cleared out of rashes. Even her cradle cap softened and gently peeled off. That was my first introduction to Mustela and I have since become a great fan of the product. I actually felt extremely sad when our Mustela supply ran out as they were not available locally back then. Mustela is a 60 year old French brand whose mission is to provide moms and babies with the safest skin care products that would address their specific skin needs. Since protection of mommy and baby’s skin is Mustela’s ultimate concern, it uses only ingredients of natural origin and leaves out harmful chemicals typically found in many skincare ranges such as parabens, phenoxyethanol and phthalates. Mustela products are tested and formulated under strict medical supervision. They were developed under close collaboration with healthcare professionals (e.g. pharmacist, dermatologist, allergologist, toxicologist and gynaecologist) so they are guaranteed safe to use on newborns, babies and children. 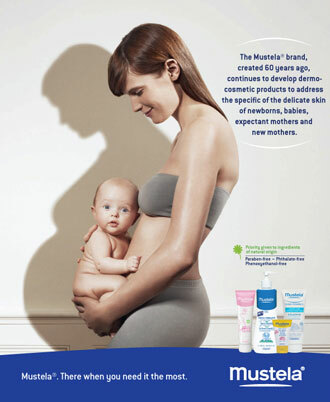 Now on its 60th year, Mustela continues to improve itself by coming up with new innovation and scientific breakthroughs in skin care treatment for babies and mothers. And because of this it has now become the leading skin care product for moms and babies in Europe. Mustela’s complete range of products caters to the specific skin care needs of not just newborns, babies, and children but of new and expectant mothers as well. All of its four skin care range are hypoallergenic and tested following the strictest standards of quality, high tolerance, and optimum safety. This range is specially formulated to accompany mothers during the pregnancy and post-pregnancy periods where the skin undergoes delicate changes. This is the perfect Baby Shower gift that you can give to a preggy friend. This complete range of dermo-cosmetic products are specifically formulated to protect newborn and baby’s sensitive skin during daily hygiene, bath time, diaper change and skin protection routine. I remember bathing Bianca using the hair and body bath, and it was such pleasurable experience. And since my daughter and I can’t tolerate very strong perfume due to our asthma, we absolutely love the alcohol-free Musti Eau de Soin from this range. The scent is light and tender, not too overpowering. This range answers the specific skin problems of newborns, babies and children such as dry skin with eczema, hypersensitive and intolerant skin, irritated areas, nappy rash and cradle cap. It will be good to always have a stock of Stelatria cream on hand as it is the perfect home cure for sudden rash breakouts, burns, chicken pox and insect stings. The Mustela Sun Protection range protects the fragile and intolerant skin of babies and children against those harmful UV rays. They also contain 100% mineral or organo-mineral screens. Perfect as go to skin protection during hot summer days. Now the good news, Mustela Philippines is giving away 1 dermo cleansing gel 200ml worth P540 and 1 skin freshener worth P490 to one lucky follower of Blancnotes and Mustela Philippines. Like Mustela Philippines in facebook. Answer the question, “What do you love about Mustela?”, using the comment box below. Don’t forget to leave your complete name, email add, URL of your facebook post, city, and preferred branch together with your answer. I love Mustela because it’s the best for babies’ and mothers’ skin alike. My sister told me to use this product for my grandson. She has been using this for her family and told me its worth every peso. I’d love to win this! “What do you love about Mustela?” I heard a lot of great feedbacks from Mustela, I must they are child friendly and must have for babies. I would really want to try this for my kids. Based from the blogs I read about Mustela Skin Care, its not only for babies , the whole family can use it. What i love most about Mustela products is how gentle it is on babies skin, no more worries about skin irritation or allergies. I love Mustela because it’s perfect for my baby’s sensitve skin. And since I have sensitive skin too, it’s perfect for both of us. I love mustela because it is so gentle to the skin. 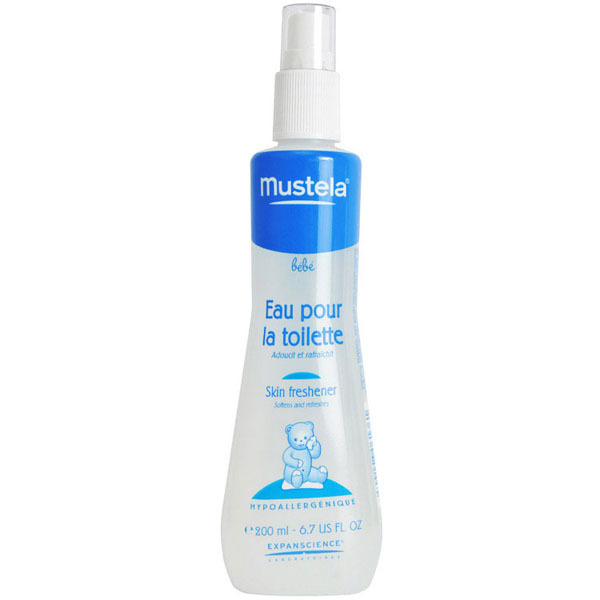 Mustela is a must-have! I love that it’s safe to use and it’s gentle on the skin. I just heard of Mustela Skin Care products and i knew i really need it so much for my newborn baby since she’s having rashes around her neck and back and I am so worried about it, the pedia prescribed me to use lactacyd blue, physiogel and cetaphil, but still there is no development, so when i read about your blog it gives me an idea what to try for the best of my baby. tnx. I love most about Mustela is its combined effectivity + scent! We love the Vitamin Barrier Cream so much and it made me leave my old product behind. My daughter’s skin loves it. I love Mustela because it uses safe, gentle and organic ingredients for our little one’s delicate skin. It has a nice smell and it’s light on the skin. I love Mustela because it has no irritating smell and it is safe for babies’ sensitive skin. What I love about Mustela? Mustela uses the most natural ingredients in their products which is really helpful for my baby’s sensitive skin. My two-month old baby then has a moderate case of atopic dermatitis that even products recommended by her pedia didn’t show any miracle. I tried everything, sterodial creams, corticosteroids, all brands. Until a friend, introduces mustela stelatopia. I can say it’s heaven sent! This really improved my baby’s skin. I used stelatopia emollient cream, cleansing cream and milky bath oil. Thanks for the wonders of Mustela as I will never apply steriods to my baby again. My preferred branch is Megamall. My baby has used Mustela products since he was 9 months old. We love it because they’re very mild and gentle on the skin. Also, they have a nice, clean scent that is not overpowering. I so Love Mustela products, I use the Hydra Bebe Body Lotion and 2in1 Hair and Body Wash works perfectly with my kiddos.. smooth and no irritations at all…. I haven’t tried the product but after reading your post I’m sure if this is mild for babies it is surely effectvie for everyone! Hope to win this prize. I love Mustela because they are pure and works better for babies n us girls. I love Mustela because is safe for babies’ sensitive skin. I love Mustela because it makes my skin soft and healthy. I like Mustela’s wide array of products that can be used by everyone who has sensitive skin. I have been using Mustela personal care products since seven years ago. I love all their products and the mild scents. Babies, toddlers and adults can use it. From sun lotion, bubble bath, cold cream, dry or chopped lips and cheeks and the body wash and shampoo- in-one stays the smell for the whole day is fantastic I have lived in London and only few shops sell it there. We always buy it in France. When i came back here in Manila i was amazed to see Mustela products is selling in the Philppines. It’s expensive though. I haven’t tried using Mustela Skin Care Products thats why i want to win these. I read good reviews about the product. That is very good on skin, won’t cause irritation and will make skin healthy. I haven’t tried any product from mustela yet, I heard a lot of positive feedback from the brand which really interests me from using it soon. oh well, hopefully i can try some. If I win from this giveaway, I hope I can get it here in cebu specifically in rustan department store. 😀 thanks! All products are perfect for the whole family! I super love Mustela because it’s been so long since I’ve been looking for the best products for my sensitive skin due from my past pregnancy. At last, i found out this product and I can use it with no regrets because it is proven safe and effective. I love Mustela because being a conscious mom, I ensure that me and my family’s skin are always taken care of–and Mustela helps me do that in a gentle and effective way! Mustela is great. not only for my baby, but also for my family’s skin. I love Mustela because of its wonderful scent and because it’s gentle yet very effective. Even my husband attests to its effectivity. He used the Vitamin Barrier Cream on his wound and it healed fast and beautifully — left no scars! Mustela provides the best skin protection for my daughter. They have a wide variety of products depending on your skin care needs. 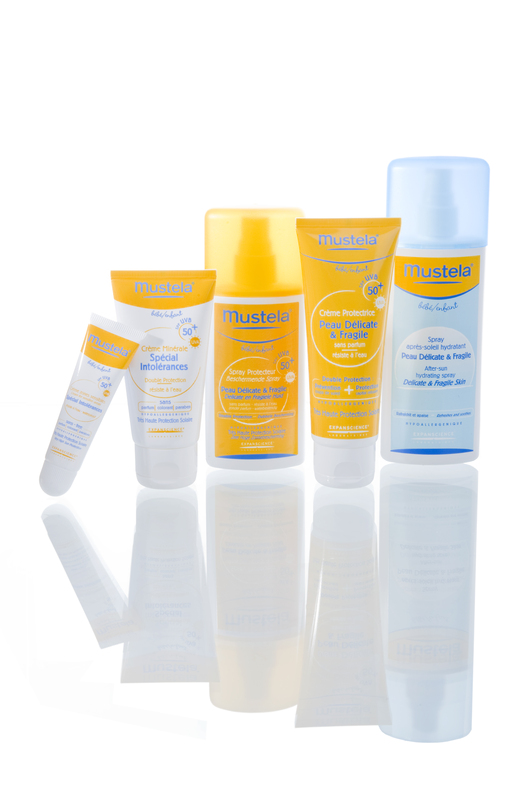 Mustela products are designed for all skin needs. Mustela is mild to baby’s skin and provides the maximum protection. I want to try Mustela. The mammal genus baby merchandise square measure extremely counseled as they not solely square measure safe however conjointly keep the babies germ free and fight varied common issues like rashes and dermatitis. its safe for new born baby. My aunt also using same products for her baby. Thanks I think this is a great review. i was looking for some skin care products for babies,,,will Mustela be good for baby skin? I love natural and eco-friendly products! These look like some really fantastic products! Choosing right skin care for your skin is a difficult task. Because we don’t know which one is better for for our skin without trying. But have shared some tips to take a decision easily. Skin care products make our skin soft and beauty.I love skin care product so much for my face….